I was this morning invited to Bahrain’s Khalifa bin Salman Port to meet with senior Immigration officials and do a story on how they work at the country’s seaports, particularly when thousands of cruise tourists come calling. 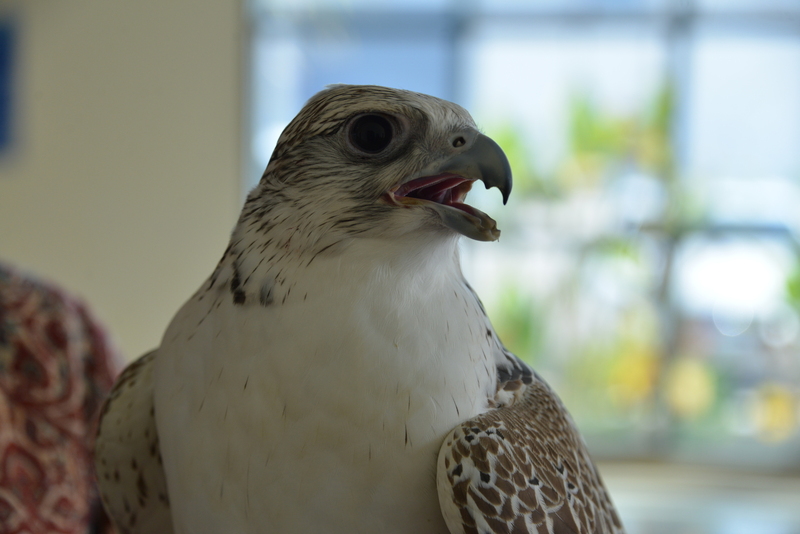 Other then the interview and taking several photographs of the visitors, I came across this Bahraini hunting falcon, on show at the Passport Control section of the arrivals terminal. These majestic birds have been traditionally used by Arabs for hunting in the desert since ancient times. The art of falconry is now not as popular as it once was but the birds are now used as ‘showpieces’ to welcome and wow visitors as well as be major attractions at exhibitions and other events. The Germans, who came on board the Aida cruise liner, were clearly impressed with the traditional Bahraini hospitality and wowed by this amazing bird and its handler. It was a sight to see the two so much at ease with each other. Another instance of man and ‘beast’ coexisting in harmony in urban settings!